The Eurekahedge Report was launched in October 2008. Published monthly, The Eurekahedge Report is the most in-depth source of information on the global hedge fund industry available today. The report features expert analysis on asset flows, hedge fund performance and regional key trends, as well as the league table of top-performing funds across region. 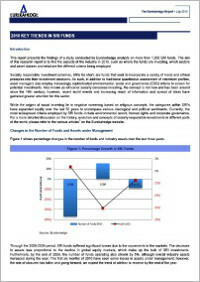 The main contents of the report are wholly researched and written by Eurekahedge and do not contain contributions. Regular features such as ‘The Billion Dollar Interview’; conducted with selected fund managers, are also prepared in-house. Readers of The Eurekahedge Report rely on its independence and accuracy. As a reader of The Eurekahedge Report, your knowledge is more complete and your decision making is more accurate. As an advertiser or sponsor of the report, you will be communicating directly with the leaders of the hedge fund industry through a medium that not only understands the market but has a direct influence on it. The monthly report is only available to subscribers. For a preview of the report, click here to download a free sample of a 2018 issue.